Lutsky, Ostap [Луцький, Остап; Luc’kyj], b 8 November 1883 in Luka, Sambir county, Galicia, d 8 October 1941 near Kotlas, RSFSR. Political leader, co-operative organizer, publicist, and poet; father of George Stephen Nestor Luckyj. While studying liberal arts at Prague and Cracow universities he joined the literary group Moloda Muza and wrote several collections of poetry—Bez masky (Without a Mask, 1903), Z moïkh dniv (From My Days, 1905), and V takii khvyli (At Such a Moment, 1906). While working in Chernivtsi as an editor of Bukovyna (1907–13) he became active in the local co-operative movement and in the Ruska Besida in Bukovyna. During the First World War he served as a lieutenant in the Austrian army, and in 1918 he was appointed aide-de-camp to the young Archduke Wilhelm von Habsburg. 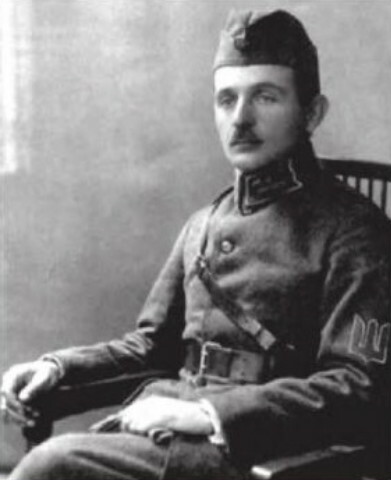 With the collapse of the Austrian Empire he joined the Ukrainian Galician Army and served as chief of staff of the Fourth Zolochiv Brigade of the Ukrainian Galician Army (1919) and then as Symon Petliura's liaison with Józef Piłsudski. After the war he settled in the Stryi region and became active in its economic revival: he restored the local branch of Silskyi Hospodar and founded and directed (1926–8) the Stryi County Union of Co-operatives. 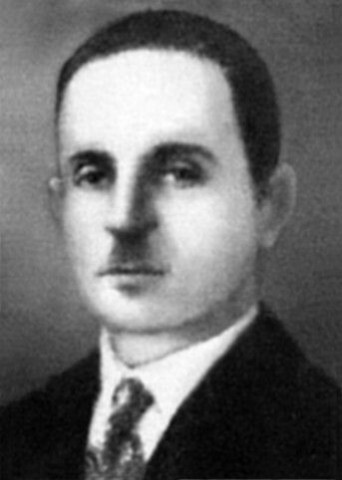 As supreme director and head of the organizational department of the Audit Union of Ukrainian Co-operatives (1928–39) he was largely responsible for the success of the co-operative movement in Galicia. His writings in the field included Kooperatyvna problema (The Problem of Co-operation, 1937) and Sil’s’ko-hospodars’kyi kredyt (Agricultural Credit, 1939). He also played a prominent role in Galician politics: he sat on the executive of the Ukrainian National Democratic Alliance (1925–39) and was elected as its candidate to the Polish Sejm in 1928 and 1930 and to the Senate in 1935. As a Sejm member he served on the budget and economic committees, and as senator he sat on the foreign relations committee. On 2 October 1939, shortly after the Soviet occupation of Galicia, Lutsky was arrested. He was deported to a concentration camp in northern European Russia, where he perished. Lutsky’s literary activity was published and examined by George Stephen Nestor Luckyj and Bohdan Rubchak in a 1968 publication. His short biography, by Andrii Kachor, appeared in 1952. His correspondence with Olha Kobylianska, Ivan Franko, and others, compiled and edited Luckyj, was published in 1994.